This 10 Days Uganda wildlife safari, Uganda gorilla tour Bwindi & Golden monkey trekking safari will begin and end in Entebbe. This trip in Uganda is the most exciting Uganda safari a tourist can ever choose to take. It is tailored to suit memories and adventurous activities that are very rewarding and exciting. 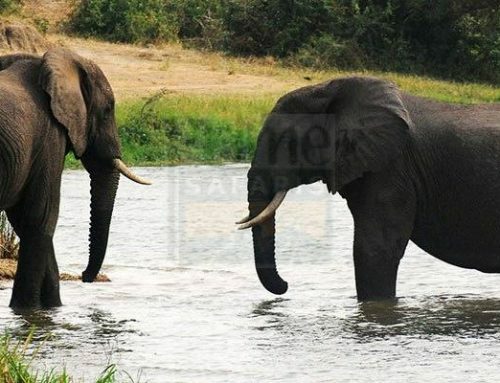 On this 10 days Safari in Uganda, you will visit Ngamba Island famous for chimpanzees, the Lake Mburo National Park and Queen Elizabeth National Park for your Uganda wildlife safari Uganda, tour Bwindi Impenetrable National Park for a Uganda gorilla safari tour in the forest. As part of your adventure, you will take a boat cruise on Lake Mburo, Lake Bunyonyi, and Kazinga channel found in Queen Elizabeth National Park. You will travel in a 4×4 safari Van, 4×4 safari minivan, 4×4 safari land cruiser or 4×4 coaster depending on the number of people coming for this safari. Your accommodation during these days will depend on your choice ranging from luxury, mid-range and budget. 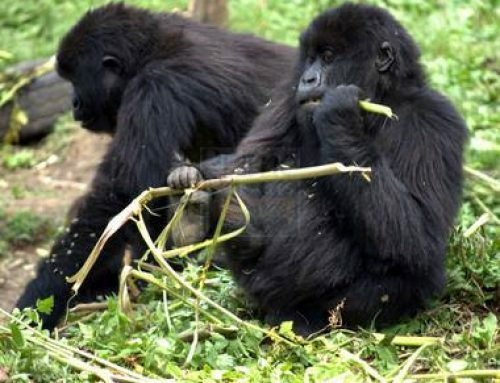 Day 3 of the 10 Days Uganda wildlife safari, Uganda gorilla tour Bwindi & Golden monkey trekking safari: Do a game drives in Lake Mburo National Park. 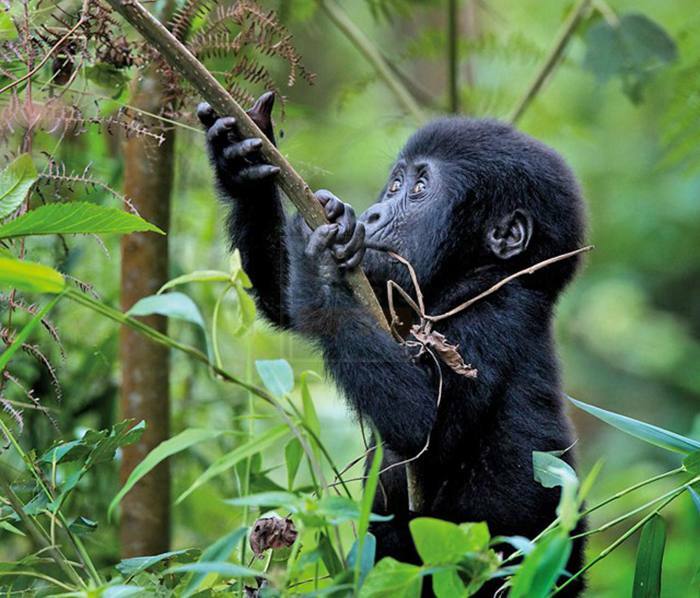 Day 4 of the 10 Days Uganda wildlife safari, Uganda gorilla tour Bwindi & Golden monkey trekking safari: Do an early morning game drive as you depart the park for Mgahinga National park. 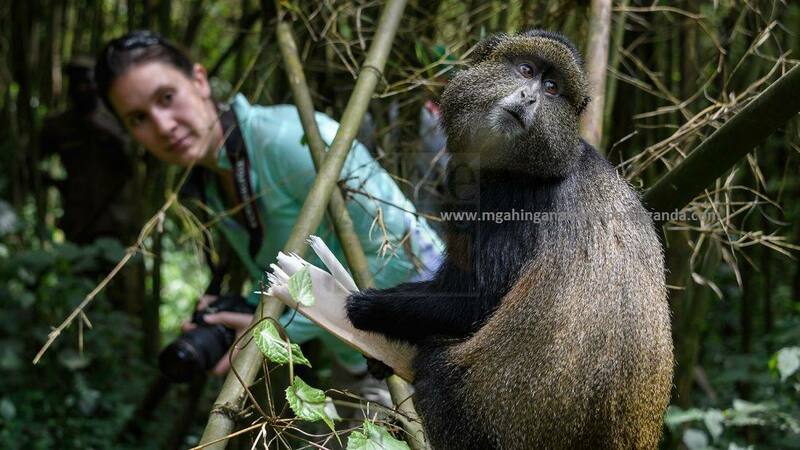 Day 6 of the 10 Days Uganda wildlife safari, Uganda gorilla tour Bwindi & Golden monkey trekking safari: Transfer from Mgahinga National Park to Bwindi Impenetrable national park. Day 8 of the 10 Days Uganda wildlife safari, Uganda gorilla tour Bwindi & Golden monkey trekking safari: Transfer to Queen Elizabeth National Park. Day 10 of the 10 Days Uganda wildlife safari, Uganda gorilla tour Bwindi & Golden monkey trekking safari: Transfer back to Kampala. This morning after breakfast, transfer from your hotel and go to the dock where you will take a boat to Ngamba Island. The boat to this island takes about 45mins to get to this home of the orphaned chimpanzees living in the protected sanctuary. Upon arrival, the duty caretakers will take you around the chimp home and brief you about the history of the sanctuary and how and why the chimps were transferred to this island. You will be in time for the feeding session as this gives a chance for visitors to interact with the chimpanzees. Standing on the visitor platform, you’ll also notice their unique behavior and then take pictures of them. Return to your Entebbe accommodation, rest and dine. Early in the morning after your breakfast at your hotel, prepare to meet your Uganda safari guide as early as 6am. 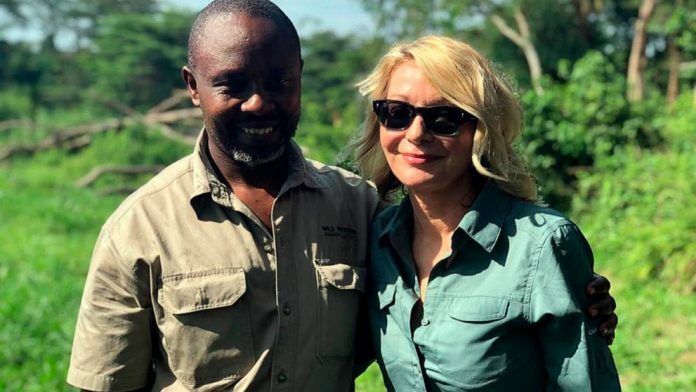 Upon meeting, he will give you a short briefing about 9 Days Uganda gorilla safari Bwindi, Mgahinga golden monkey trekking safari tour & wildlife safari and after you will set off for your using the Kampala-Masaka-Mbarara highway, a journey that will take about 5 hours covering a distance of about 234km. Along the way, you will break your journey with a stopover at the equator in Kayabwe, a line that separates the southern hemisphere form the Northern Hemisphere. While there, you will have a polar water experiment, take photos in different hemispheres as well as visit the souvenir shops around the equator. After the Equator, you will have a lunch en route in Mbarara at Igongo Hotel and after proceed to Lake Mburo National Park to catch your afternoon boat cruise. During your boat cruise on the lake expect to see Hippos, Crocodiles, Elands, Statungas and Monitor lizards and some other wildlife quenching their thirst along the lake banks. You should also expect see a variety of bird life including the rare African Fin foot. After the activity, you will be driven to your lodge that was prior booked for you. This day will begin early after a cup of coffee at your lodge in the morning. After coffee, our driver guide will take you for an early morning game drive in the park giving you chance to catch the early morning risers. During your game drive, you will see lots of bird life like the Papyrus Gonolake and wildlife animals including, the Zebras, Impalas, Reedbuck, Cliff springers, Buffaloes, leopards, eland antelopes, and Leopards among other mammals. After your game drive, you will return to your lodge for breakfast and lunch and later in the afternoon you will go back for another game drive in the park using another trail so you can see other wildlife animals in the park. After your breakfast, you and your driver guide will do a mini game drive as you exit the park to drive to Mgahinga National park with a stopover at Kabale for lunch. After your lunch in Kabale, you will proceed to we later proceed to Kisoro arriving in Mgahinga National Park in the evening. Drive to your lodge, check in, dine and spend your night there. After your morning breakfast you will transfer to transfer to Mgahinga National Park headquarters as early as 7:30am for a briefing about the do’s and don’ts of your golden monkey trekking safari in Uganda by the ranger guides. After the briefing, you will be led into the Virunga mountains range in search of golden monkeys as they play in the tree branches an activity that will take about 4 hours. Return from the forest, have lunch and take a nature walk and visit the garama cave, where the Batwa used to live. After the activity, return to the lodge for dinner and overnight. After breakfast at your lodging facility, together with your packed lunch, transfer to Bwindi Impenetrable National Park to your lodging facility that was booked for you. After a very early morning breakfast at the lodge, and later depart for your Uganda gorilla safari briefing that begins at 8am together with your packed lunch. Arrive at the headquarters for registration and have your briefing and after you will be led into the forest to search for the shy apes. 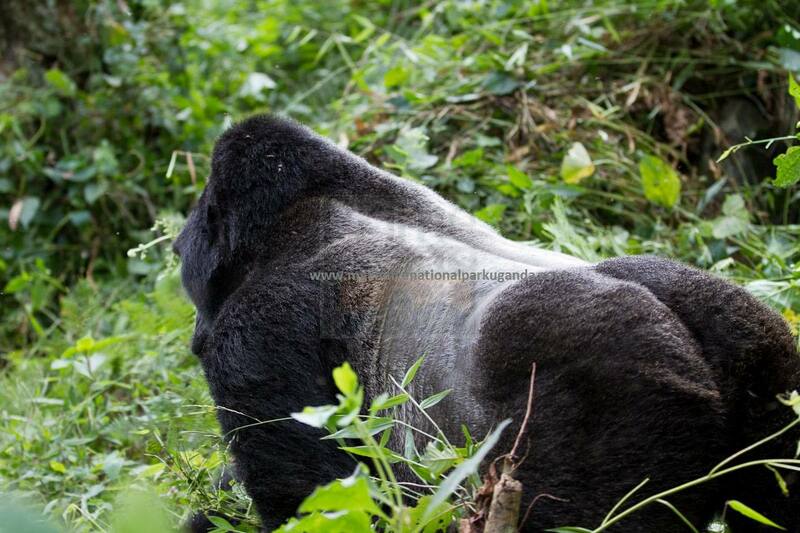 The gorilla trekking activity itself might take about 2 – 8 hours. 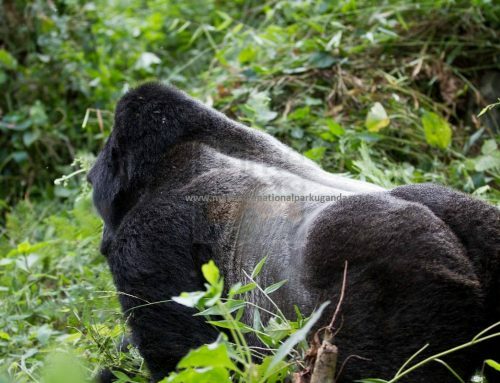 The trekking distance may be long and may require you to walk for a long distance, under steep and muddy conditions and sometimes with rain over head before encountering any gorilla. 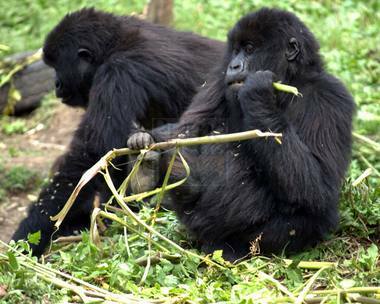 As soon as you see the gorillas, the time spent with the gorillas is limited to strictly one hour due to conservation purposes. After interacting with the gorillas, retire and drive to Lake Bunyonyi for an afternoon boat cruise along this lake of many birds. While cruising on the lake, you will be told many stories about this magical lake of Uganda. 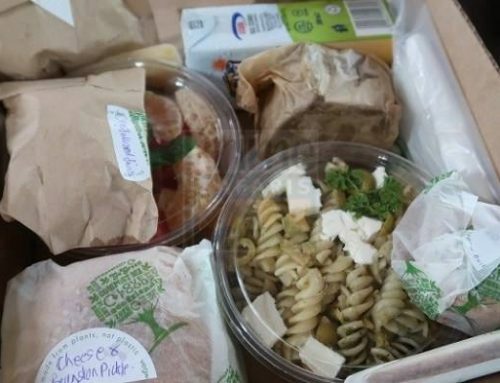 After breakfast, have your lunch packed and after transfer to Queen Elizabeth National Park passing via the Ishasha plains famous for tree the climbing lions. Proceed do a simple game drive there and after procced to your lodging facility, freshen up, relax and dine. The day begins early with an early morning cup of coffee at your lodge, you will start your game drive towards the Kasenyi plains in search for the wildlife that includes the Elephants, Waterbucks, Cobs, Buffaloes, Giant Forest Hogs, Bushbucks, Hyenas, Lions and Leopards among the mammal species and a variety of bird life. This Park is said to have the highest concentration of bird species as compared to other parks in Uganda. Queen Elizabeth National Park has over about 612 birds recorded in this Park. We come back to the Lodge for breakfast, relax around, have lunch and later in the afternoon go for the boat cruise on the Kazinga Channel for yet another but different view of wild life from a close distance as they come to cool off in water as well as quench their thirst. You will later return to the lodge for dinner and overnight. After a relaxed breakfast at your lodging facility, you will transfer to Kampala, proceed to the Airport to take your flight back or to your hotel for dinner and overnight.